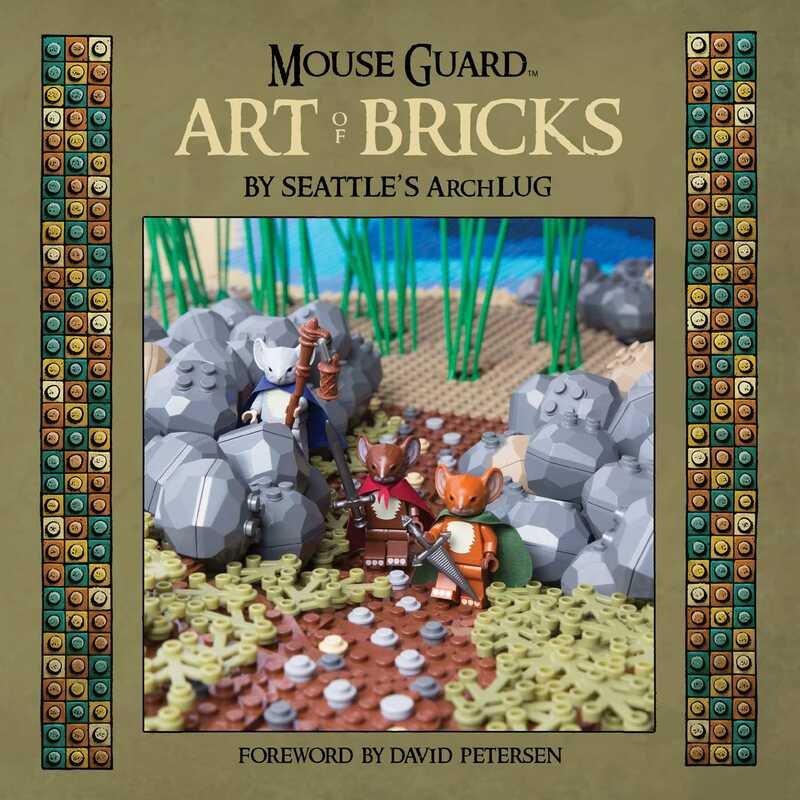 In 2015, as part of the 10 year anniversary of Mouse Guard, David Petersen teamed up with famed Lego-builder Alice Finch to build an expansive Mouse Guard LEGO display at the 2015 Emerald City Comic Con. In conjunction with the fine folks at Crazy Bricks, who make custom pieces that fit LEGO®, Kre-O®, Kubrick®, Character Building®, Si-Dan® and Friends®, Petersen also kicked off a crowd-funded campaign to create sculpted mouse heads, custom weapons, cloaks, tankards for fans to recreate the world of the Mouse Guard in minitature LEGO form. In this collection of photos and essays from Finch, Petersen, and their builder collaborators, the process of sculpting, molding and assembling the incredible multi-section diorama of more than 150,000 LEGO bricks is documented with love and in intricate detail. A must have for collectors of LEGO and Mouse Guard.